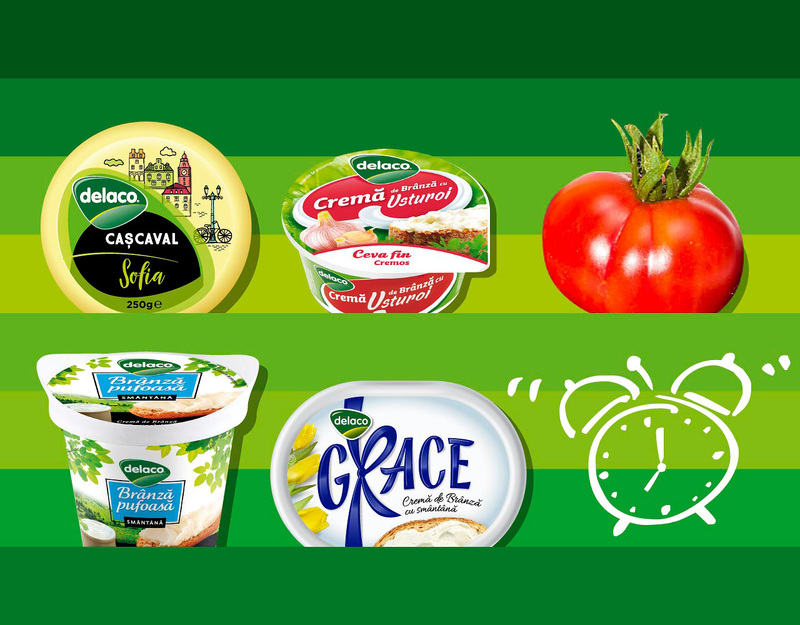 Over the last two decades Delaco suceeded to build one of the best-known, most impressive and loved Romanian cheese portfolio brands. 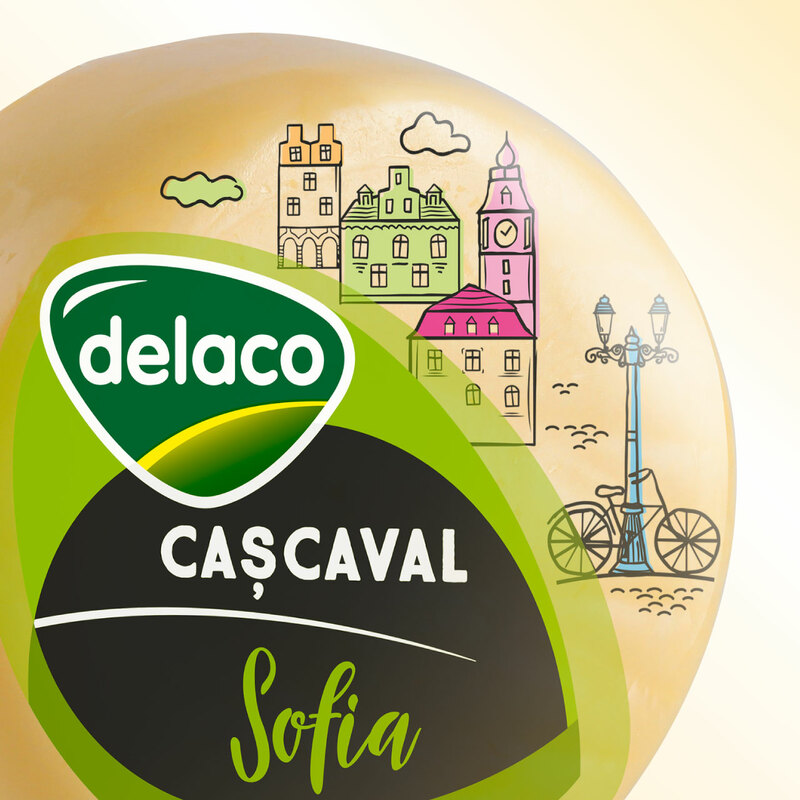 Delaco was founded in 1997 as a small, family-owned initiative, guided by a mission to offer only the best quality cheese to Romanian customer. 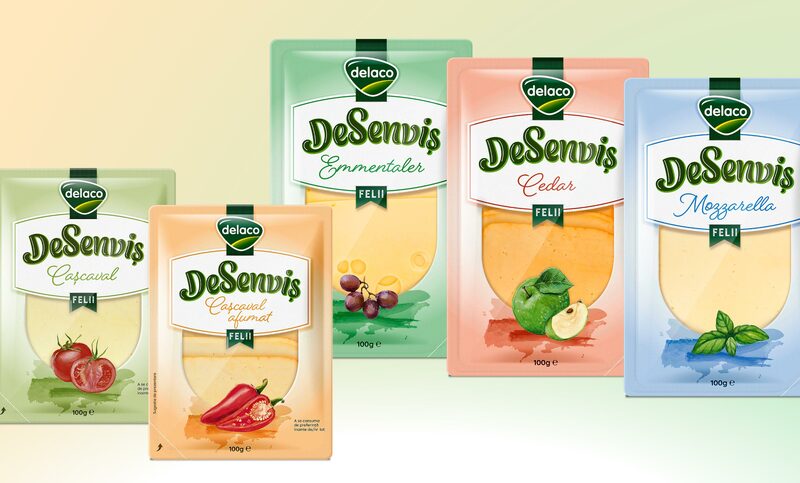 Brandient has worked with Delaco to advice on strategic branding needs, to clarify the brand architecture and portfolio, and to design several product ranges. Also, Brandient was involved in writing brand corporate narratives and designing the corporate brand visual platform. During the four years long collaboration, we have discovered a client not only very mindful of market trends, but also highly aware of the importance design plays in today’s consumer goods industry, and fearless in reinventing its portfolio design. Below are some examples of this exceptional collaboration along the years. 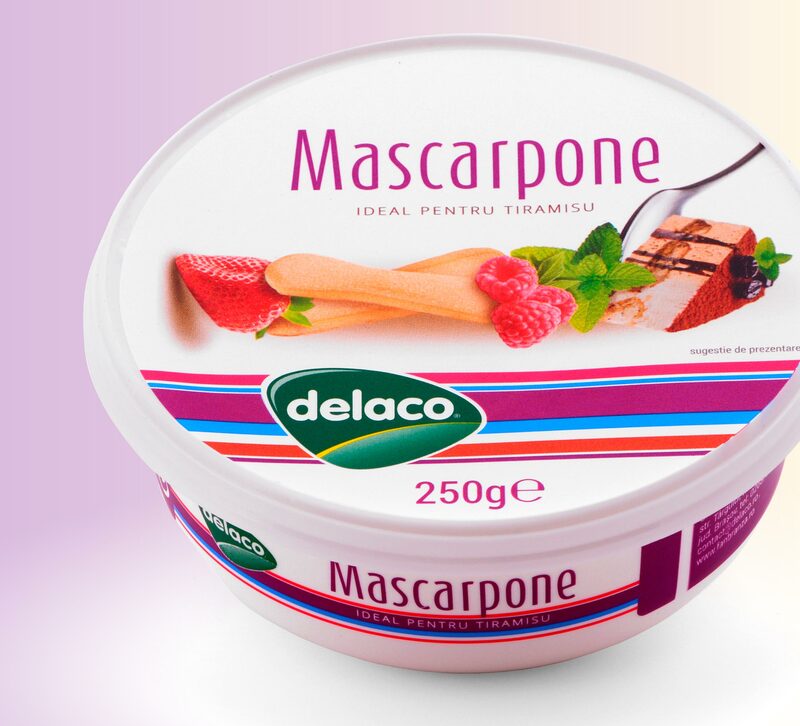 On a shelf dominated by generic names such as “fresh” or “soft” or “light” cheese, the Delaco’s sub-brand name “branza pufoasa” (“fluffy cheese”) came up, to methaphorically transmit not only the attributes of the product, but also the Delaco brand personality (caring, cool, charismatic, conversational etc). The delicate texture and the natural taste are visually prompted by a minimalist design style in a decorative approach, with lots of white and green, plus natural colors. 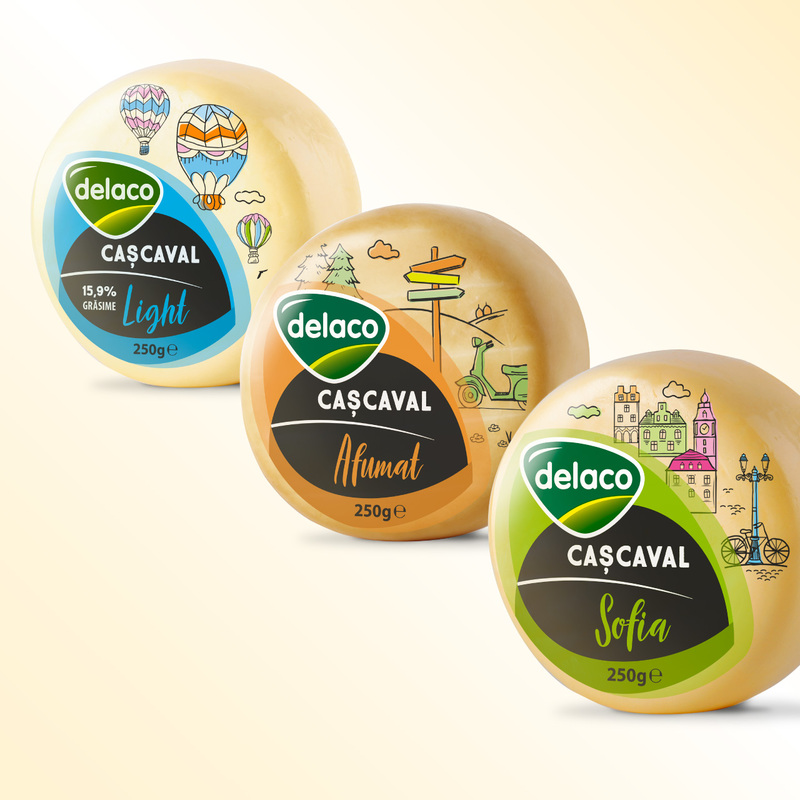 Delaco approached Brandient for a redesign of its highly popular yellow cheese range in order to better convey its high quality promises. The new design successfully tackles several challenges. First, it ensures brand recognition by preserving the most relevant equity elements — namely, the look and feel of the layout & the colors. Secondly, it aligns all products under a single masterpack, and thirdly — it introduces illustrations capable to tell a story about the nature and the modern lifestyle. Redesign in order to improve the quality perceptions; the approach is minimalist and natural. In a strategic move to differentiate as much as possible from competition — which relied heavily on the blue color palette — Brandient assigned extreme daring, appealing and impactful colors, treated in a white minimalist context. Since mascarpone is an essential ingredient in tiramisu recipes, the design offers a playful perspective on how the dessert is made. The new range Toni Junior was launched in 2017 targeting with various special products the youngest customers of Delaco — the urban children. Toni Junior introduces a child named Toni (with a hint to the brand’s spokesperson Toni Delaco) and his fairy tale night dreams. Each package design would like to tell the story of a dream, in beautiful blue contrasting with children illustrations — which created a package design like a page from a fairytale. The stories are written by the talented writer Raluca Feher, and illustrations are signed by CultCat.